Facebook is the leading social networking site that allows people to connect with friends, family, other people and even their favorite celebrities and brands. You can post your status to let everyone know what you’re up to, chat with your friends, comment on posts and share videos or watch those that are uploaded on the site. You may want to download and convert Facebook video to MP4 so you can watch it offline on your computer or mobile device. And even much better, you can make it easy to share it via chat or e-mail with your friends, especially those who are not on Facebook. 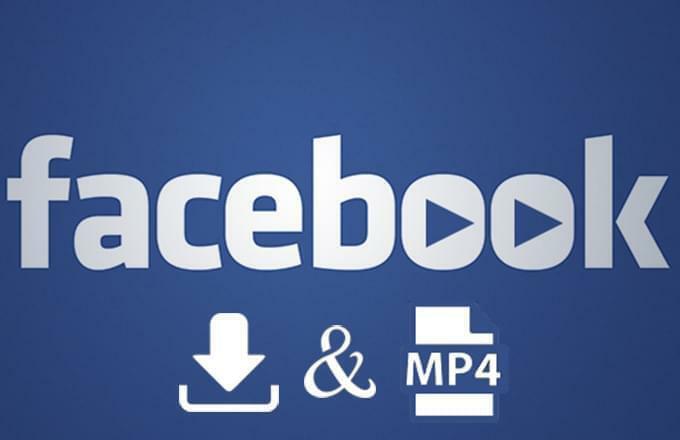 There are various ways on how to convert Facebook videos to MP4 format. Let me share with you three of these methods. One is web based, while the other two options require software installation. Let’s get to know your choices better. If you don’t want the hassle of installing a software to convert Facebook to MP4 on your computer, then you may use Video Grabber. It’s web based, so all you need is your web browser and Internet connection. It would work no matter which operating system you’re using such as Windows or Mac OS. After downloading and installing the program, launch it on your computer. Go to Facebook and go to the video that you wish to download. Click the video to get its exact URL, instead of just playing it on your news feed. 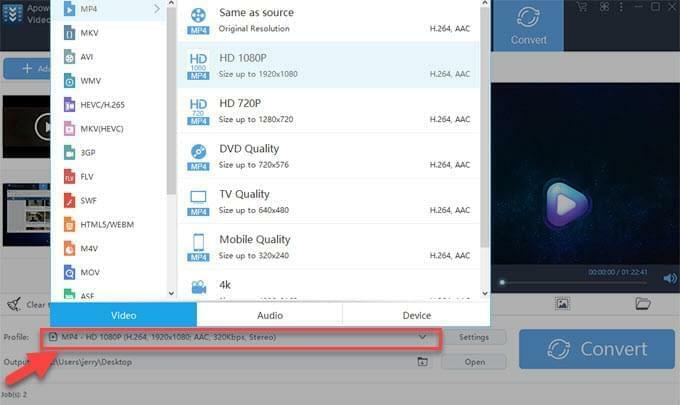 The video detector function is enabled by default, the application will automatically download the video so you just have to wait for the download to finish. Another way is to copy the URL of the video, go back to Video Download Capture and hit the “Paste URL” tab. Then the video will be automatically added to the download list and you can start to download the video at the same time. Wait for the download to complete. 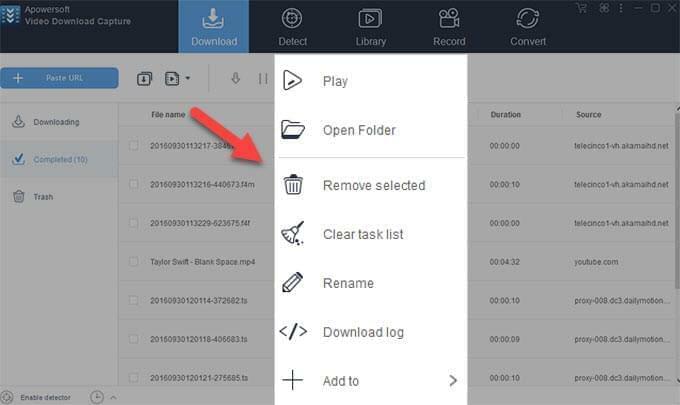 If you feel tired of copying and pasting other videos one by one, this wonderful tool also enables you to batch download videos with just one click effortlessly. What’s more,you can hit the completed tab to locate your downloaded video and then right click on it to see your options including playing it, accessing it on the folder where it’s saved and adding it to iTunes or mobile. Please note that the videos downloaded from Facebook are automatically saved in MP4 format, if you wish to convert them to other formats or portable devices for some reason, you can do so using its built-in converter. Click the “Convert” tab, select the files you wish to convert, choose the output format and start the conversion. 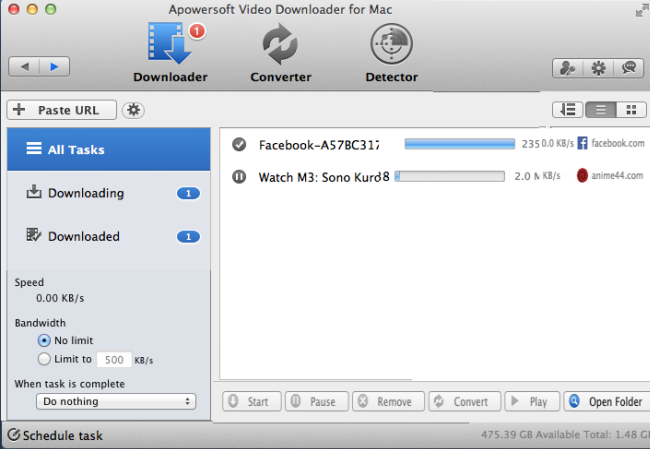 Our last Facebook video converter is Apowersoft Video Downloader for Mac. As its name suggests, it’s designed for Mac computers. Just install the application and start downloading videos on Facebook. After launching the application, click “Detector” on the main interface of your program, copy the URL of the Facebook video that you want to download, the intelligent sniffer will automatically detect what you are playing in the built-in web browser. You preferred videos will be added into the download list. It’s just one click thing to convert Facebook to MP4 Mac. What are the benefits of MP4 format? Now that you have learned the options on how to convert Facebook to MP4, it would be easier for you to decide on which of the methods is best for you. It’s true that there are several other video formats available, but there are many benefits that you can get from choosing MP4. One of them is file compression. Videos are compressed to make them smaller with high preservation of quality. This means that when you save it on your computer, mobile device or other storage it will not take up much space. At the same time, you can still enjoy watching the video because it’s still crisp and clear like the original one. And MP4 is one of the most compatible format. MP4 is supported by most devices and players so you would not have problems playing and sharing it. If you decide to upload it on another site, you will not have difficulties doing it either as majority of sites allow this format. Since it uses low bandwidth, videos will load faster when viewed online.